World number one Simona Halep won a bruising quarter-final battle against Germany’s Angelique Kerber 6-7(2) 6-3 6-2 to book a place against Garbine Muguruza in the French Open semis. 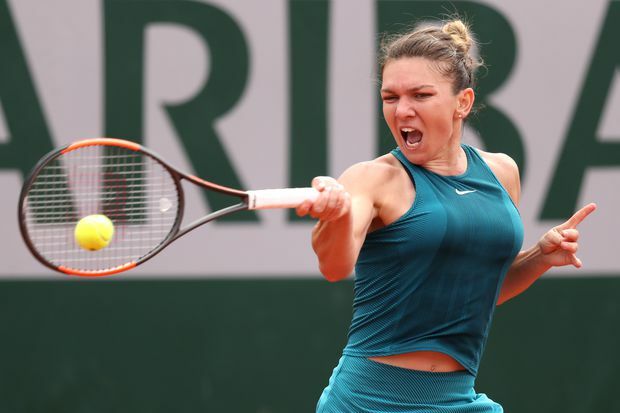 Halep started slowly, spraying shots wide as she lost the first four games of the match against the number 12 seed who hit her early groundstrokes with lethal accuracy. But the Romanian clawed her way back into the contest, winning three straight games as both players struggled to hold on to their serves in a monster opening set that swung one way and then the next. Kerber eventually prevailed in a tiebreak, but Halep came out all guns blazing in the second, firing baseline bullets at her opponent, who tried to cling on against the onslaught. But by the third set Halep had broken down the German’s defences -- and her resolve. “It’s always a tough match when I play against her. After the first set I just stayed strong and didn’t give up,” Halep told the court Suzanne Lenglen crowd in a post-match interview.